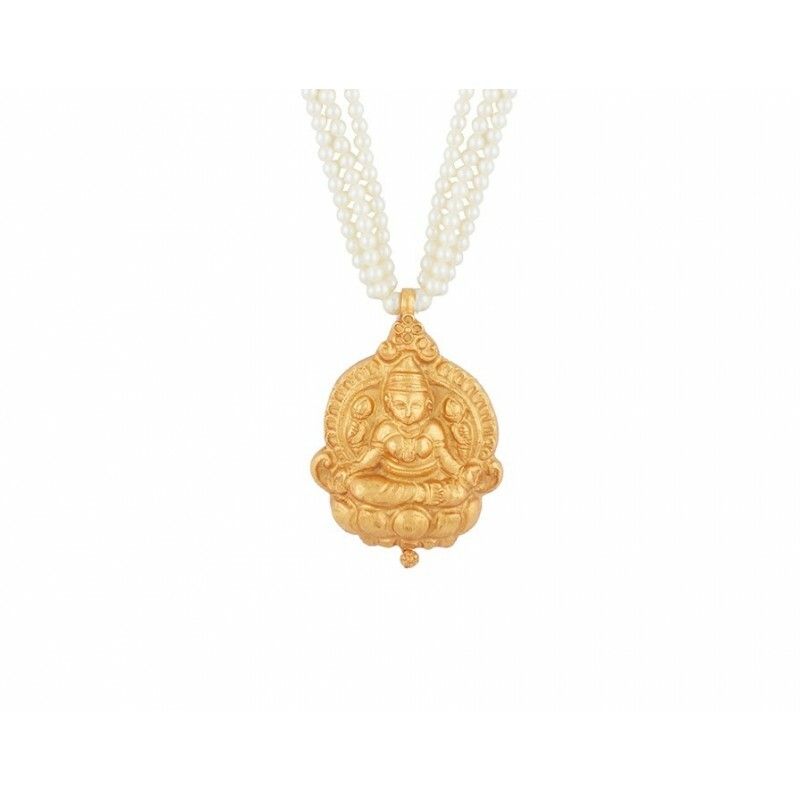 Designed around the central motif of Goddess Lakshmi , made in brilliant nakashi work , with a three dimensional quality. Strung with lines of pearls to give a truly elegant look. Mounted with pure 24 Karat Gold Plating on pure 92.5 Sterling Silver. **Disclaimer: This product has been made by hand and may have slight irregularities that are a natural outcome of the human involvement in the process.